You would think that religious themes in science fiction could not mix together. However, there is a long history of science fiction (and fantasy) writers that have included religious themes in their work. Gene Wolfe did with his Solar Cycle Series (Book of The New Sun, Long Sun, & Short Sun), Orson Scott Card did it with his Ender and Alvin Maker series, Octavia Butler did it with her Parable Series and there are numerous other SF authors who have incorporated religious themes into their works as well. Well I found out over the last year that Robert Silverberg, one of the Genre’s Grandmasters, wrote several religiously themed science fiction novels during his most prolific period of 1967-1976. I have previously reviewed two of those novels: A Time for Changes and Tower of Glass. I enjoyed both of those books and decided to read Downward To The Earth for my latest review. It’s considered one of his finest works and more overtly religious than those aforementioned novels. Downward To The Earth is the story of Edmund Gundersen, a former colonial governor of Holman’s World, who has returned to that land after a prolonged absence. He is seeking atonement for his treatment of the native races, the Nildoror and Sulidoror, during his time as the colonial governor. The Nildoror and Sulidoror are elephant-type anthropomorphic beings that live on Holman’s World. Gundersen decides to journey in order to seek atonement for his sins against the Nildoror and Sulidoror. Silverberg tells a powerful story of Gundersen’s journey into the heart of Holman’s World. 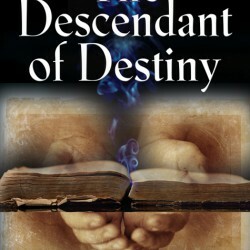 He provides direct allusions to Conrad’s Heart of Darkness, the Old Testament, and Jesus Christ. He deals with the concept of sin and atonement in a surprisingly honest fashion. However, I still believed that he fell a little short in regards from a Christian worldview perspective in dealing with the consequences of sin and repentance. 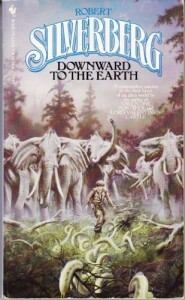 Downward To The Earth does a respectable job in trying to intertwine religious concepts into a secular science fiction novel written in the late 1960’s. Silverberg wrote a thought-provoking novel and would be recommended for science fiction enthusiasts who are looking for something outside of the normal conventions of the genre.